Summary: Registration is now open for the Get In Rhythm. Stay In Rhythm.™ Atrial Fibrillation Patient Conference hosted by StopAfib.org. After announcing the dates for the 2016 Get in Rhythm. Stay in Rhythm.™ Atrial Fibrillation Patient Conference (September 16-18), we received several messages from people who were eager to book their airline tickets and reserve their spots at the live event. And we couldn’t be happier about this response, because it means we’re reaching those who are ready to live with greater peace of mind as they gain as much control as possible over their atrial fibrillation — and consequently, over their lives. When you go to the link above and register for the conference, you'll have the unique opportunity to learn directly from nearly 2 dozen world-renowned doctors — including electrophysiologists, surgeons, and other specialists — who will cover everything from diet and exercise to medications and procedures. We'll talk about methods for keeping your afib under control, and you'll even have the chance to talk with these experts between sessions. 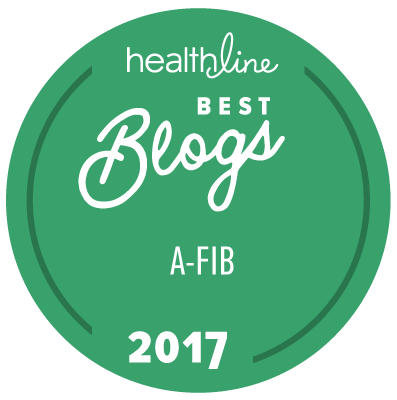 The role of genetics in afib, and what this may mean for the progression of your afib … and for the prevention of afib in your family members. What you can do now to manage your risk factors to minimize afib, and the impacts your actions may have on your health. How high blood pressure, diabetes, obesity, sleep apnea, autoimmune diseases, endurance exercise, stress, and air pollution may impact your afib, and what to do about it. The various medications and procedures for afib, and which ones are most effective in specific situations. See the full faculty and agenda from the conference here. Of course, these topics are just the tip of the iceberg; we're hard at work planning a full agenda for the 2.5-day event, which is scheduled to take place September 16–18 at the Sheraton DFW Airport in Dallas, Texas. Remember, this event is designed to give you the tools and information you need to take care of yourself, and to communicate effectively with your doctors and other healthcare professionals. Why wait any longer to learn how to regain control, so you can live your healthiest and most enjoyable life?